Ceibass Venture Partners – A Secret Skill to Enhance The Value of Your Lawn & Landscape Company. 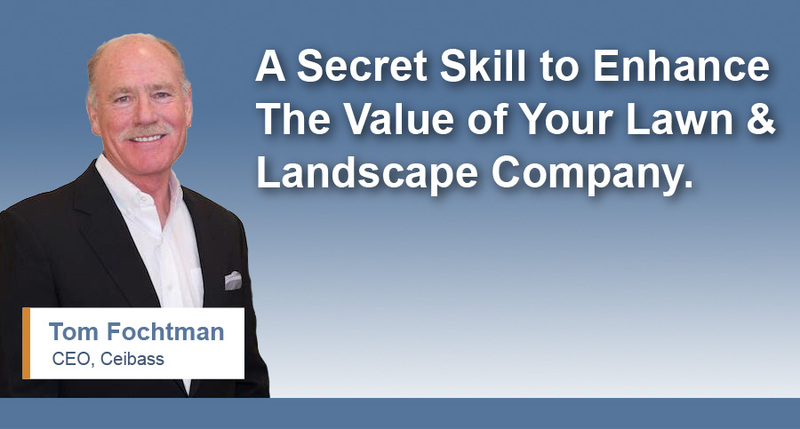 A Secret Skill to Enhance The Value of Your Lawn & Landscape Company. The Enterprise Value Specialists at Ceibass have had the pleasure of helping many lawn & landscape business owners build value, and sell or transition their businesses. What are some of the extra things that a business owner can do to enhance the value of the business beyond the obvious? Tom went on to explain that it is important to have some kind of 3 year strategic plan, and yearly plans with strategic initiatives, and then be able to show evidence of how your company performed against that plan. This reflects your management team’s and key employees’ proficiency in developing a plan and then executing against it. If you’re good at it, this skill is highly valued by potential buyers. Professionalism at this level will lead to higher values for your business. Take the time to develop it. More On Building Your Business With The Exit In Mind.